Sand Ceremony has become quite popular as an alternative to the unity candle. Because no flames are involved it lends itself well to outdoor weddings, particularly at the beach. Sand ceremony is very popular for most couples, as the blended sand provides a wonderful keepsake for a long time. Assemble a kit using the items available at a craft store, or simply bring their own containers and use sand or dirt available at the wedding site. I do highly recommend this ceremony in lieu of a unity candle for outdoor weddings because of the vagaries of the wind. ____ and ____, you have just sealed your relationship by the giving and receiving of rings. Today this relationship is further symbolized through the pouring of these two individual containers of sand. One, representing you, _____ and all that you were, all that you are and all that you will ever be. The other, representing you, _____ and all that you were, all that you are and all that you will ever be. As these two containers of sand are poured into the third container, they are joined together as one. As the sand is now blended, we can see that it flows together in lovely patterns that allow for us to see the individual colors while appreciating the creation of something new and beautiful. Our prayer for you today is that your lives together be longer than the time it would take to separate the individual grains of sand. _______ and _______, you have just sealed your relationship by the giving and receiving of rings and the exchange of a kiss, and this covenant is a relationship pledge between two people who agree that they will commit themselves to one another throughout their lives. The most beautiful example of this partnership is the marriage relationship. You have committed here today to share the rest of your life with each other. Today, this relationship is symbolized through the pouring of these two individual containers of sand one, representing you, _______ and all that you were, all that you are, and all that you will ever be, and the other representing you, _______, and all that you were and all that you are, and all that you will ever be. As these two containers of sand are poured into the third container, the individual containers of sand will no longer exist, but will be joined together as one. Just as these grains of sand can never be separated and poured again into the individual containers, so will your marriage be. _______________ and __________________, will you now step forward and hold close to your heart the container of sand representing the essence of all that you are and all that you bring to this union? As you do so, endow the grains with all your hopes and dreams for the future and all the particles of personality that make you unique and wonderful in one another’s eyes. Two individuals have chosen to create a new life with endless possibilities and new dreams that belong to them both. Will you now pour the sand that is to represent all that you bring to this union from the paths you have traveled to get to this day? Bring to mind the strength of your promises, the honesty integrity and determination with which you make them Think of how you give yourselves, trustingly and whole-heartedly to one another and to the spirit of your marriage. And now please seal the vessel with love as a reminder that nothing is more important nor more sacred than the bond you share as confidant and advocate, friend and lover, husband and wife now and forever. ________and _________, will you now step up to the altar and hold close to your heart the container of sand representing the essence of all that you are and all that you bring to this union. As you do so, remember that like these grains of sand your differences and uniqueness are a wonderful gift that you give to one another, as important to your relationship as your commonality and the strength of your togetherness. Once this sand is poured it can never be separated, for it has moved on to create something new and beautiful, that shall be forever shared, much in that same way that your marriage will forever join your lives. 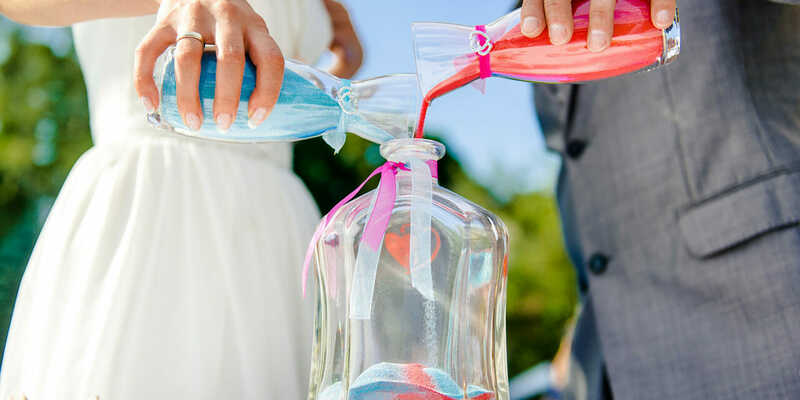 Will you now pour the sand that is to represent both your individuality and your togetherness within your union? As you pour remember marriage is a promise to be together in harmony. Let the winds of the heavens dance between you. To empower each other and allow your relationship to evolve to it’s highest purpose. To sing and dance together and be joyful. To care for one another, share your lives with one another and to unite in spirits with every fiber of your being. Bring your union to the foreground of your thoughts always and through all of your moments together, so that in the triumphs and trials that lie ahead, you will you will feel just as you do now – happy to be in love and married to one another. Be at peace and live more and more in the present, which is beautiful and stretches away beyond the limits of the past and towards the horizons of the future. And will you now seal the vessel as a reminder that nothing is more important nor more sacred than the bond that you share as husband and wife. Bride and Groom seal the vessel and return to the front of the altar. (Bride and Groom) have bound their lives together as a couple. Each also brings very important gifts to their union. We celebrate and acknowledge the importance of their children as they all come together to build a family. The couple will first pour their sands into the vase, showing that their marriage is the foundation of this family. Their sands mix together and symbolize their bond of love and respect that can never be separated. As their children (names….) now add their sands, we are reminded that though we are all different people. It is our unique personalities that add the beautiful color to the tapestry of the family. Like the sands of the bride and groom, so these sands will also blend. They represent the love each feel for all of these children. 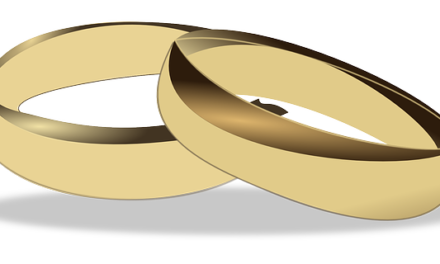 (Bride and Groom) now seal the union with their sand that surrounds their children in an environment of unconditional love. May this family remain, not dependent upon one another, but interdependent and as colorful as the sands that fill this vessel. Sand Ceremony is one of the most popular ceremonies requested by your couples. Make sure you ask your Wedding Officiant about having this as part of your service.